The theatre is full of many special moments but in my eyes, no moment in theatre is as special as the sudden wave of nostalgia and passion you can feel for a show when you attend a special performance and that is exactly what #Phantom30th was: a night to celebrate one of my earliest and most favourite shows sat in an audience full of like-minded and passionate fans of both Phantom and the theatre. An evening of nostalgia began before we’d even taken our seats in the auditorium: as you enter the theatre, you were given a free programme with a sleeve and a booklet to commemorate the special gala performance and the past 30 years of the show. There’s something so poignant and touching to read about a massive show that has spent its whole life in the same theatre coming full circle. Then, upon sitting down, you we were given a champagne flute to hold on to for the end of the show (that wasn’t nostalgic, I just enjoyed the free and luxurious champagne and wanted to brag about it). 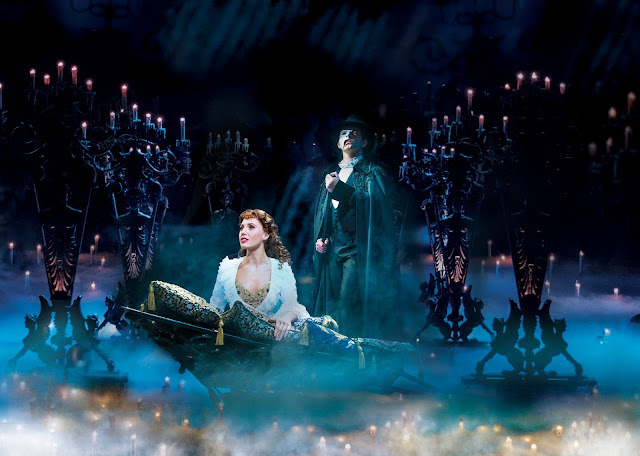 The evening’s show was sublime like it always is: Phantom is a perfect musical no matter what way you look at it and the gala performance was no exception. This current cast – which is headed up by Ben Forster, Celinde Schoenmaker and Nadim Naaman – are perfect, all with an incredible amount of talent and youth to make the show feel new. Ben Forster undeniably has one of the most articulate and dominating voices that the West End has to offer and it is an honour to see him perform the Phantom again; his voices melts like butter and his interpretation of the role is perfection. The same goes for the current Christine, Celinde Schoenmaker. She has really proven herself to be a beautifully lyrical and loveable soprano in this role and she dazzles in it each time I see her perform it: she’s the best Christine I’ve seen to date, and the same goes for Nadim Naadam as Raoul who actually makes me warm to the character, which is a challenge that had never been accomplished until now. The evening’s performance followed with a star-studded post-show gala featuring a large number of unlikely guests. Andrew Lloyd Webber and Cameron Mackintosh compared the event with suitable comedy and banter and it was nice to see the pair of them get along so well, while reminiscing about their time together with the show. Webber then introduced Sierra Boggess to the audience and she performed Wishing You Were Somehow Here Again almost entirely in French to commemorate the now-cancelled Parisian revival of the show that she was set to star in this month. As Sierra left the stage, Webber made a joke about his dislike for a “small London fringe musical” that beat Phantom to is 30th birthday by a year and welcomed one of their original stars (and Phantom alum) Michael Ball to the stage, where he performed a hilarious rendition of All I Ask of You alongside both Schoenmaker and Naadam. 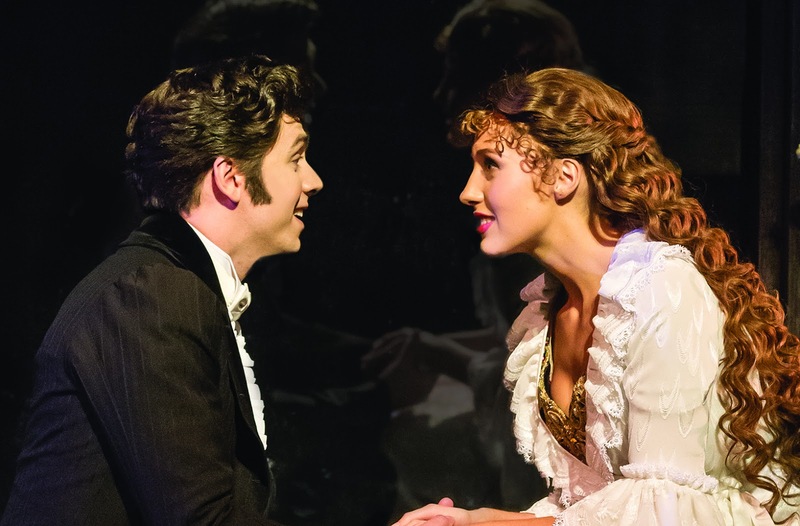 Nadim Naaman and Celinde Schoenmaker as Raoul and Christine respectively in Phantom. As if we didn’t already think we’d been blessed with enough of a glorious performance, Sierra then returned to the stage alongside Celinde, both accompanied by Phantoms of days gone by including Boggess’s Phantom from the Parisian revival, John Owen Jones and Ben Forster. 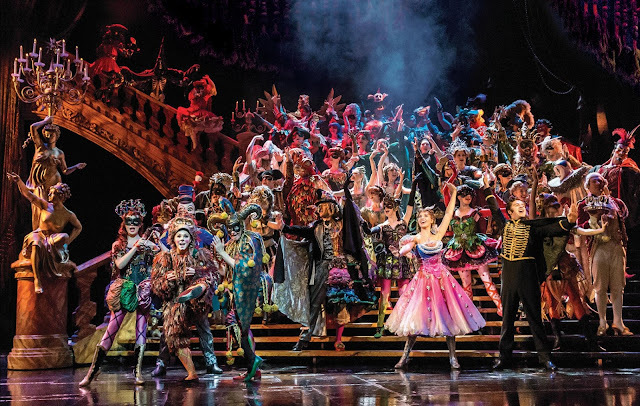 The group performed a spine-tingling rendition of The Phantom of the Opera before exiting the stage and making way for a huge team of current and past Phantom casts to perform an elaborate rendition of Masquerade. That song is powerful enough as it is with one cast of people performing it, so an even bigger ensemble of performers brought tears to the eyes. The evening then closed with Mackintosh and Webber welcoming the original creative team and the original main cast – including Michael Crawford, but excluding Sarah Brightman – to the stage to take a final bow and round off the night. The most awe-striking thing about this masterpiece is Andrew Lloyd Webber’s incredible, soaring score and I am so glad that that became the focus of celebration for the evening. It was inspiring to get to hear that music be performed by a group of such talented individuals and to get to appreciate it for everything it has done in the world of musical theatre. If there is any show on Earth that deserves this successful of a run, it’s most definitely The Phantom of the Opera. 30 years down, so here’s to 30 more!